Live Caribbean Stud Poker is an easy to learn live variation of the well-known Texas Hold’em Poker. Before you start, it is important to know the rules of the game. Unlike Casino Hold’em and Three Card Poker, this poker variant is still more unknown and the offer is still limited. At Live Three Card Poker you will play with the best combination of three cards. At Casino Hold’em, it’s the best combination of 5 out of 7 cards you’re trying to get. If you play Live Caribbean Stud Poker then you play with 5 cards, from which you want to get the best possible combination. Caribbean Stud at LeoVegas with £1,500 extra! 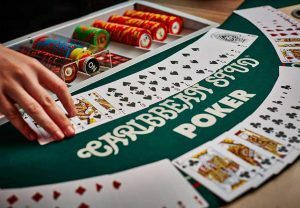 The big difference to the standard variant of Caribbean Stud Poker is that, in the case of Live Caribbean Stud Poker, you will not play a software. You will really be at a a table with a live dealer. Another big difference, with Texas Hold’em Poker, is that you will play with other players, but not against them. You will only play against the live dealer. He will deal the cards. You only need to take smart steps to go home with a booty. The Live Caribbean Stud Poker is, most of the time, always filmed from a certain perspective. With this perspective, you will be able to see both the live dealer and the table well. All actions will be displayed. That way, it still feels like you are actually sitting at this table. Every moment of the day, with your own food and drink, in your own environment and all without paying your entrance fee; That’s Live Caribbean Stud Poker! 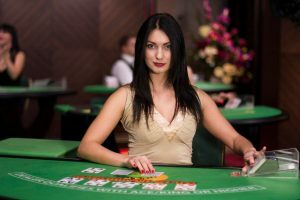 Of course, it is important that you in advance study the game rules that are connected to the Live Caribbean Stud Poker. The card combinations will hardly deviate from the normal poker variant, but be sure to be aware of them. Before you can start the game, you will be deemed to use an Ante, this is the starting amount. The height of the Ante depends on the game table you are on and thus the minimum bet limit. Then the cards will be played by the live dealer. In order to receive the live dealer and you have a card. The only difference is that all your cards will be opened and the dealer will only be one. The remaining four cards will remain close on the table. 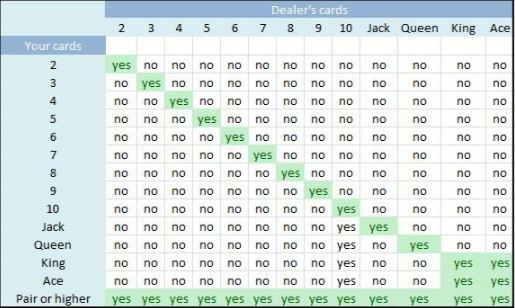 Then you will have to decide on the basis of your cards and the one visible card from the dealer. You may lose Fold, and thus lose your Ante, or you will play (Call) and reintroduce your Ante twice. After this decision, the dealer will also open its cards. The dealer only plays if her cards contain a combination or an Ace plus King. If this is not the case, you will pay your Ante double paid and your subsequent bet. If the game is played and you win, you will get paid out twice. TIP: Play at LeoVegas and start with up to £1500 extra! You probably wonder when you need to pass and when to play. It is obviously a game of chance and still difficult to predict. However, people with a low pair often do not dare to play or adjust when the dealer’s open card is high. You have to think in such a situation that the bank will have no combination in 43.68% of the games and will not play. If you have not used it then you will lose money and lose a small profit. In about 1 of the 15 rounds, the bank has the combination of King and Ace and no other combination. In that case you only need to have a pair in order to win. It therefore means that you can always bet whenever you have a pair or higher. You do not even have to pay close attention to the dealer’s open card. Please note the low payout rates associated with this game. Apply your strategy immediately at 888 Casino and win! While at Texas Hold’em Poker you have fellow opponents, this is only the live dealer at Live Caribbean Stud Poker. The big difference is that co-players will always adopt a certain strategy and this will not apply to a live dealer. It is very possible that you play with other players at the same time. 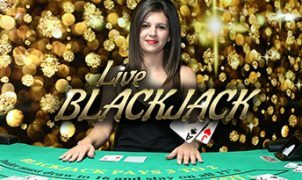 It’s definitely worth taking advantage of the live version of this game to enjoy a live conversation with the live dealer and feel like you’re home, but have the same experience as in The actual casino. Due to the great bonuses offered by online casinos you can bet more while playing in the live casino. Therefore, you can also get more out of the game. Several live casinos will try to convince you with the most attractive bonuses and promotions. So look good and feel free to choose what is the most beneficial for you! The most common form of a bonus is nevertheless the live casino welcome bonus. This will be offered to any new player in both online and live casino. 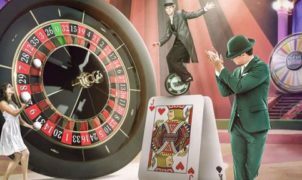 For beginners, it becomes more attractive to register with such a casino and enjoy added benefit. Please take into account the various conditions attached to such promotions. Evolution Gaming is a major and well-known software provider of live casinos. It is also one of the first to market the Live Caribbean Stud Poker. For a long time, many online casinos on our website also offer this game opportunity. You can, among other things, play casinos like Mr Green or LeoVegas for a real poker game experience! Play Live Carribbean Stuk Poker at LeoVegas!